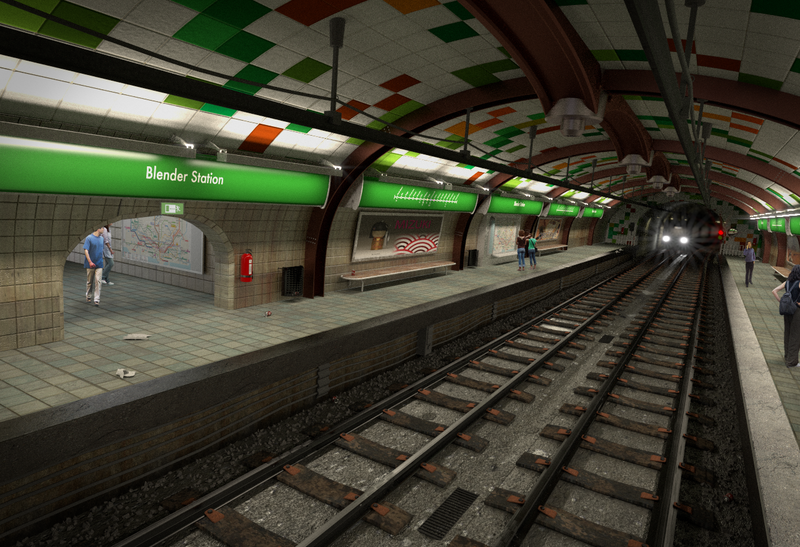 Here's the latest render of my subway scene. I'm beginning to be pretty happy with the result. I added some compositing to it. The people were added in Photoshop, but the glares and other post processing touches were all done in Blender. 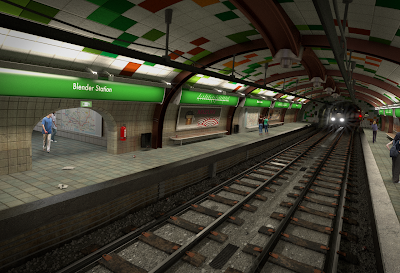 The defocus was added as part of the compositing. 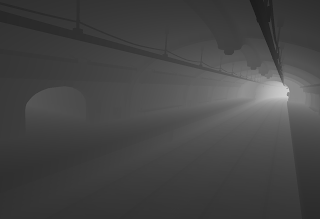 To do this, you blur the image using the Z-depth map. 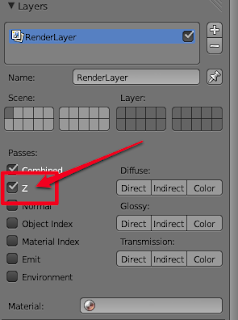 In order to access the Z-depth information, you need to check the Z option in the Layers panel on the Render tab (see Figure 2). in the Compositor. Also, I added a slight vignette effect. expressed as a grayscale gradation. Figure 3 shows what this looks like (untouched). Figure 3. 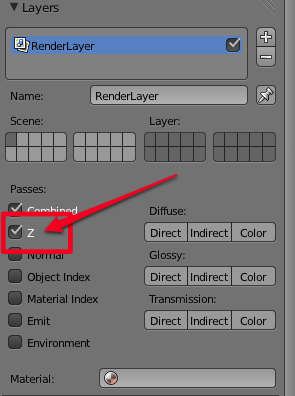 The information about Z-depth in grayscale representation. Figure 4. 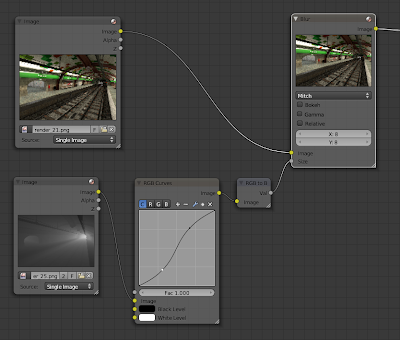 This is the node setup I used here to add depth of field to the scene. making the whole scene look like it's really tiny (tilt shift effect). and the black areas get zero blur. Thanks Sebastião! :) Glad you like it.